As you may have noticed, everyone who has competed in MMA and/or Brazilian Jiu Jitsu who goes on the Joe Rogan Podcast, and is over the age of 40 – has extensive spine-problems. Big John McCarthy for example, has had multiple operations on his neck and still has problems with it. Same goes for the likes of the great Bas Rutten and Michael Bisping. If you can’t afford some stem cell therapy – not many of us can – there are some half decent treatment options available. For example, the neck hammock offers some relief via the process of spinal decompression. I would personally, first consider an inversion table before purchasing one of the door frame neck hammocks, although they are a lot more expensive – for now I just hang off the back of the sofa. You literally strap yourself in and hang upside down. Your whole spine gets decompressed, not just your neck. Prevention, is of course, better than cure. I would always recommend drilling lots of technique and keeping sparring and rolling to a minimum. At least full-on sparring and rolling. If your neck is just stiff and painful, you may have issues with the muscles being tight, rather then the discs in your neck. Magnesium glycinate and magnesium spray is fantastic for stiff muscles – I use these supplements along with an infrared lamp on my neck most nights. Foam rolling, stretching and trigger point therapy should be part of your daily routine. 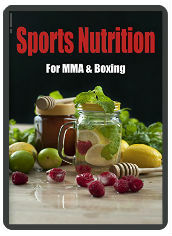 MMA, Fitness & Marketing enthusiast from North Wales, UK. A Stoic Hippy with no hair. Not to boast but - 1st Class Degree in Sports Science from Loughborough, MSc in Nutrition from the University of Liverpool. 20 years experience of weight & fitness training. This entry was posted in bjj, Bodybuilding, MMA and tagged biohacking, bjj, martial arts, mma, neck, spine, ufc. Bookmark the permalink.